This outstanding wine making kit is designed to meet the needs and expectations of the serious winemaker. These premium kits contain only 100% varietal juice and varietal juice concentrates sourced from around the globe. These wines showcase the styles that made these regions famous. Take your Red Wines to another level. 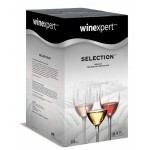 Relatively new to this line of premium wine kits are selected wine kits that include a package of Grape Skins. These kits will have increased varietal character, bold flavors and aromas and full-bodied tannins, all in a wine that drinks well young and rewards patience. The addition of a grape skin pack enhances not only the body, mouth-feel, tannin and color of the wine; it does so without increasing the need for extra ageing. Great care is taken to perfectly balance the acid levels, pH, sugars and tannins to produce a wine of excellent quality without all the guesswork. You can expect rich, full-bodied wines with superior color, complex flavors and distinctive aromas in 6 - 12 months, and improvement for several years under good cellaring. Selection Argentine Malbec is a medium/full-bodied, dry red wine with firm acidity, rich tannin.. The bold, individualistic style of Australia's winemakers has unleashed the full potential behind th.. The blend that made Australia famous. Cabernet Sauvignon's structural intensity perfectly complement..
Leave it to the Aussies to take the noble French grape and turn it into the wine equivalent of a ful.. The blending of these three grapes is a classic, originating in the South of France where Côtes du R.. The grape that was made for Down Under - its hot climate perfec for bringing out the best traits in .. The lively golden hue reveals a combination of floral notes and apple crispness with perfumed headin.. The noble California red grape. Rich in tannis, it produces a deep, full-bodied wine with intense ar..
Full of citrus and tropical fruit flavours and warm vanilla oak Sweetness: Dry | Body: Medium | O.. The plump, lush fruitness of this respected grape translates into a wine which perfectly balances be.. The character of this fine varietal is truly distinctive. Displays a flowery bouquet, complex fruit .. Complete with Winexpert's innovative F-pack, this blush favourite displays the trademark pink hues a.. Deep crimson, with dark cherry aroma, red fruits and berry notes running to a smoky, spicy finish wi..
Winexpert's Selection Chilean Pinot Noir is a bright ruby colour with delicate aromas of red berry f.. Introducing a bold, enigmatic blend from Selection. Intense fruit aromas and notes of black cherry, .. Developed as a cross combining the lively qualities of Riesling with the viticultural reliability of.. This immensely charming, exotic wine is true to its German translation: spicy. Deeply coloured and o..
Winexpert's Selection Italian Brunello Style is a dark-cherry colour with highlights of gorgeous rub..
Montepulciano is a vigorous red grape variety widely planted over much of east-central Italy, capabl..
Winexpert's biggest, boldest white wine ever. In the spirit of the great full-bodied Chardonnays of .. 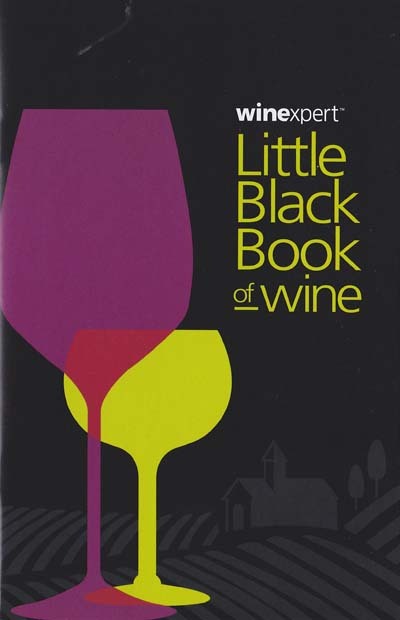 Bold, robust and intense: Winexpert's 'Big Red' is the largest, most full-bodied red wine ever relea.. Formerly Selection Barolo Style Large and robust, this style is the one that lovers of big wines ..
New Zealand's finest. A delicate wine with aromas of violet and luscious red fruit characteristics o.. Selection Sangiovese (Formerly Chianti Style) The pride of Italy's Tuscany region, this blend is fa..
A white wine with the incredibly intense aromas of melon, grapefruit, mango, peach, banana and papay..
Italian Valpolicella style wine with a delicate bouquet and a rich texture. Ruby red color. Fragrant..